India's exotic art and fashion enthralls the world. An iconic blending of both art and fashion, the ancient art of henna tattoo has been practiced for over 5000 years across India, Pakistan, the Middle East and Africa. 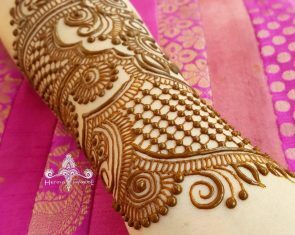 Sarala brings this beautiful tradition to the Collective Markets at Brisbane with her stall and business; Henna Paradise. Born and raised in India, Sarala commenced working with henna at the tender age of 13 under the guidance of grandmother. 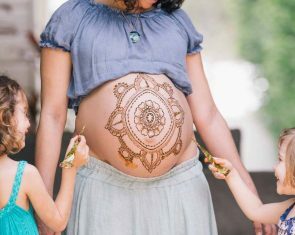 Since moving to Brisbane she has shared her devotion to the art of henna adornment with countless people for such varied occasions as weddings, pregnancy rituals, for people undergoing chemotherapy, and of course, just for the love of beauty and art. Henna is a plant (Lawsonia inermis) that has natural cooling properties. The custom of applying it to the human skin originated when desert dwelling tribes made a paste of henna within which to soak their hands and feet for relief from the desert heat. The paste left patterns on the skin and the art of decorative henna tattooing was born. Henna works on all kinds of skin colours and types and has long been touted for it's medicinal and healing properties such as assisting with headaches, stomach pains and burns. Designs start from just $10 so come along to Sarala's Henna Paradise stall at The Collective Markets at South Bank and experience this gorgeous body art yourself. 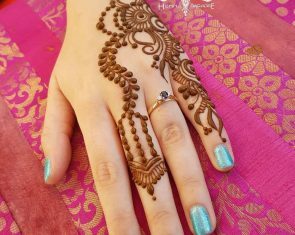 Get some design inspiration before you come by checking out the Henna Paradise Instagram account here.